Trying to figure out how to legally watch Clemson football online? Explore your non-cable options in this Clemson football live stream guide. With even the basic tier offering more than 155 channels including ESPN and ESPN2, DIRECTV offers an easy, reliable way to cheer on the Clemson Tigers this season. Despite having fewer overall channels, YouTube TV’s unlimited DVR, streaming quality, and lack of annual contract make YouTube TV a solid choice to watch all the Tigers’ greatest moments. Hulu Live offers a cheap option to get the Tigers’ games and loads of on-demand TV shows from channels like ABC. However, its sometimes-difficult interface lowers its overall experience rating. *For the first 12 months after $5/mo. autopay discount. Requires 2-yr contract. Things are definitely starting to heat up in Death Valley! Whether you’re on Team Bryant or Team Lawrence in the QB debate, the spring game made it obvious that we’re in for an exciting season. Starting September 1 at Memorial Stadium, the Clemson Tigers will have their eye on the College Football Playoff and Sugar Bowl redemption. If you’re hoping to follow the Tigers all the way, we’ve gathered the best viewing options below. We can’t guarantee a national title, but we can help you find a way to catch all the Clemson Football action from the comfort of your own home. With the returning talent and the recent Coaches Poll ranking Clemson as a top team to watch in the 2018 season, many Clemson games will no doubt appear in ESPN’s main college football coverage. In fact, the week-two matchup against Texas A&M on September 8 is already scheduled to appear on ESPN. Other games will show up on local coverage like ABC and the ACC Network, which you can access through the WatchESPN app. Depending on which channel covers each matchup, the services below will allow access to Clemson games live. Each of these services will have you up and running come week one on September 1, but check out the pros and cons to determine which provider is right for you.  DIRECTV has been around for a while, but it’s been working hard to keep up with the new affordable streaming services. Its CHOICE™ package offers 185 channels and NFL SUNDAY TICKET’s 2018 season for $45 the first year. Just be aware that all DIRECTV packages require a 2-year contract with a hefty price increase the second year. As a traditional satellite TV provider, DIRECTV offers what new streaming systems simply can’t guarantee—reliability. There’s no buffering or loss of connection during key plays: it’s clear coverage every time. Similarly, DIRECTV is available nationwide, so you’re guaranteed service to watch each Clemson touchdown (in addition to all local coverage) wherever you call home. If you get at least the CHOICE package ($45 a month), DIRECTV offers the 2018 season of NFL SUNDAY TICKET included, so the final whistle on Saturday doesn’t have to mean the end of football for the weekend. If you definitely want pro football in addition to the Clemson lineup, DIRECTV, as the only service offering NFL SUNDAY TICKET, is the way to go. The major drawback of DIRECTV is that it requires a 24-month contract. The initial price is only guaranteed for the first 12 months, and the price may more than double for months 13–24. There’s also a fee if you decide to terminate early. So make sure you’re committed before you sign up. For the most part, that’s what it’s achieved. YouTube TV offers over 65 channels—including ESPN and some of the local ABC affiliates needed to view Clemson play—for only $40 a month. The best part: no contract or cancellation fee. Try it free for a week. Simply put, YouTube TV’s streaming quality is amazing. With a crystal clear picture and fewer connectivity interruptions, YouTube TV provides one of the best products in the live TV streaming industry. With three simultaneous streams allowed, you can watch the game while any non-Clemson-fan family members (Heaven forbid!) can binge-watch their own shows. One of YouTube TV’s biggest claims to fame is its unlimited DVR, which allows you to record as much as you want and keep the content for nine months. This lets you watch and rewatch all the season’s greatest highlights with no fear of them being deleted. In addition, with access to the WatchESPN app, YouTube TV provides you coverage of all ESPN network channels, allowing you to watch ESPN broadcasted Clemson games on the go. With YouTube TV, you do risk missing a few locally broadcasted Clemson games, since YouTube TV has fewer local affiliates than Hulu Live. YouTube TV also doesn’t carry the NFL Network or NFL SUNDAY TICKET, so if you’re an NFL fan, you’ll have to find another way to cheer on Sunday’s team. Try here for help watching the NFL Network. Hulu Live is pretty much neck and neck with YouTube TV when it comes to live TV offerings, but Hulu Live also grants you access to all Hulu on-demand content and original productions. Try it for free here. 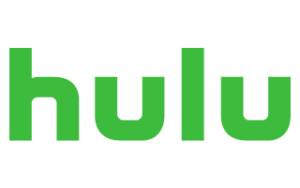 If you’re looking for a streaming service that offers more than just the Clemson games, Hulu with Live TV has it all. With more local ABC affiliates than YouTube TV and tons of on-demand content, it hosts popular TV shows like This is Us and Hulu originals like The Handmaid’s Tale. On the football front, Hulu Live offers the entire ESPN package, including ESPNU, and tons of local sports coverage. This helps ensure that you’ll get the games showing in your area. The biggest drawbacks of Hulu Live compared to other streaming services are its somewhat limited live channels, smaller DVR storage, and occasionally difficult menu interfaces. Notably, it’s missing the NFL Network and NFL SUNDAY TICKET, so you’ll have to find another way to watch your professional team win. Try here for help watching your NFL team. Start watching the Clemson Tigers now! Whichever one you pick, all of these services will bring you closer to Memorial Stadium and the Tigers this year. Just make sure that you decide which option is right for you before the season opener kicks off on September 1! Have any questions about streaming Clemson Football? Let us know in the comments below.